Questions? Call 856-368-9085 The warmth of transitional styling enhanced with elegant details. Inlaid cherry veneer bordered by walnut banding and double beaded crown mouldings provide unique details. 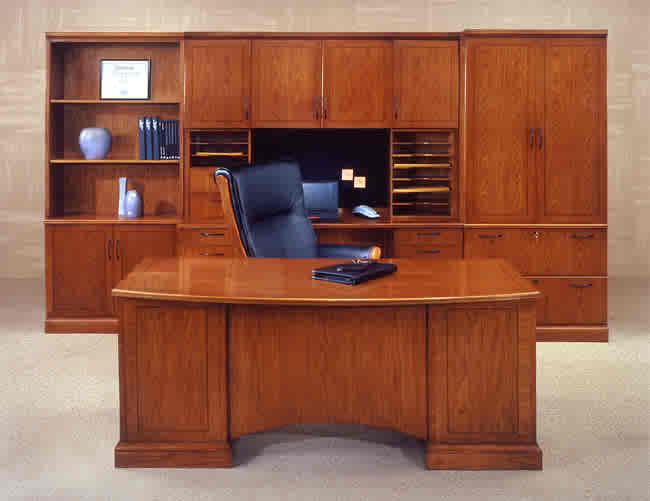 Executive nuances in bowfront worksurfaces and felt-lined box and center drawers provide an aire of distinction. 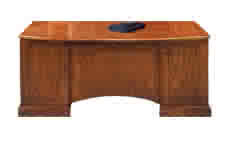 Tops are an Executive Cherry finish on inlaid cherry veneers bordered by a walnut banding protected with a polyurethane top coat to resist scratches, marring and abrasion. Construction of hardwoods, wood materials and cherry veneers with walnut veneer inlays on mortise and tenon construction with wood cleats, glue, staples and screws. Solid wood, five-sided drawers constructed for strength feature 3-ply veneer bottom and dovetail joints. All drawers have full extension, metal ball bearing slides to store heavy loads. 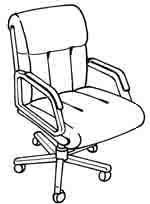 Filing hardware is included for front-to-back or side-to-side letter or side-to-side legal hanging files. All units feature adjustable levelers to compensate for uneven floors. 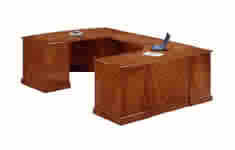 Felt-lined box/box/file drawer per pedestal; felt-lined center drawer with pencil tray; radius shaped top. Felt-lined box with wood pencil tray/box/file drawer per pedestal. 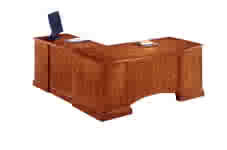 Felt-lined box with wood pencil tray/box/file drawer per pedestal; full return, base moulding. 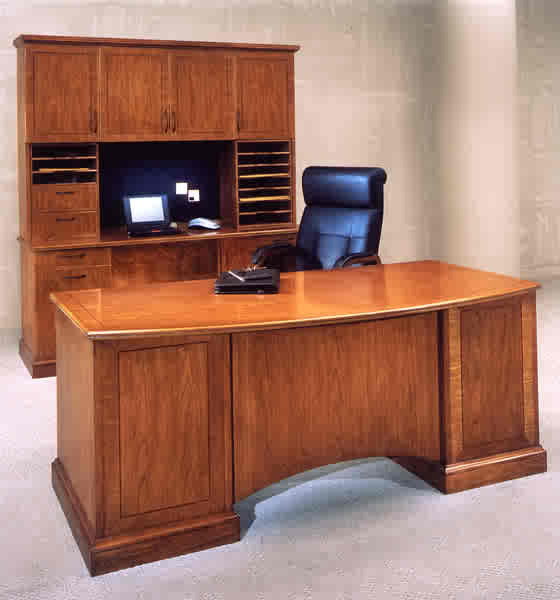 Office Doctor Discounts All Furniture CPU Corner Unit "L"
Three cabinets each with an adjustable shelf. Three cabinets; each with an adjustable shelf; one 16.75x11.75x23.75 organizer with two drawers and three letter trays; one 16.75x11.75x23.75 organizer with seven letter trays. 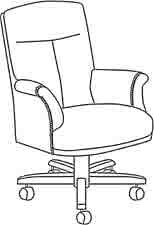 Available in Black Leather; five star base; knee tilt mechanism; 18" seat depth; seat height adjusts from 20"-23"
Available in Black Leather; 18" seat depth; 19"seat height.